We provide a comprehensive range of Brass Globe to our clients at reasonable prices. 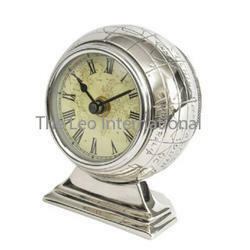 It is available in H16" x D10" and has three brass quartz clock and world locations beautifully imprinted. Furthermore, we are committed to meet the bulk demand of our clients within a given timeline. Available in Brass Finish, Black Antique Finish, Nickle Plated Finish. 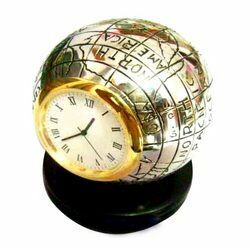 We are engaged in offering a quality approved range of Brass Globe Clock. Clock made with a globe design .